After five years living the FIFO life, my husband and myself have come across quite a few stigmas and misconceptions that seem to be associated specifically with our lifestyle choices. It is hard to ignore the fact, that according to the mainstream media, our lifestyle means we are more likely to end up divorced. Numerous studies have suggested that we will become a statistic, simply because of my husband’s work choices. The short response to these questions is: yes, yes and no but these are not questions that can be answered so simply. The responses are much more complex, and most people do not understand them. Forget the statistics, forget the stigma associated with our lifestyle, if anything, this lifestyle has made our relationship stronger. We have learnt to not sweat the small stuff, to communicate our thoughts and it has allowed me to foster my independence. 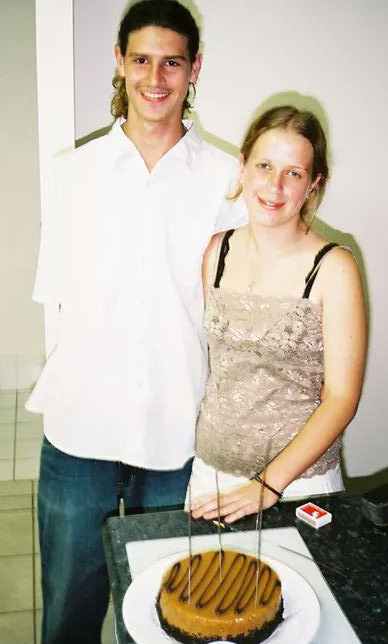 My husband and I, started dating when I was fifteen and once we became ‘serious’ we were inseparable. This is not a bad thing, but it did mean that I tended to rely on him for everything. When my car broke down or my computer crashed in the middle of an assignment, I would call him. When I was bored and needed some company, I would call him. When we started this lifestyle, I was in for a rude awakening. He could not help me when my computer crashed or even when I was feeling buy ED pills lonely at night home by myself. FIFO forced me to stand on my own two feet, to go out and make friends that were outside my relationship bubble and to most importantly, believe in my own ability. This is not to say that I cannot rely on him, but rather I rely on him for emotional support rather than ‘fixing my problems’ help. From this lifestyle, our communication skills have strengthened our relationship. We know we need to talk about what is wrong and how we are feeling in order to overcome any difficulties. Our communication is via phone every night, and we need to make sure that our time talking counts. FIFO has taught us to value our time together and not sweat the small stuff. We are limited to one week out of three together and we need to value every minute we have together. There is no point arguing about whose turn it is to do the dishes or who’s stealing whose side of the bed because our time together is limited. We have learnt to value each others company and most importantly not to take each other for granted. There’s no point arguing about something that doesn’t matter in the grand scheme of things. Overall, in regards to our relationship, I wholeheartedly disagree with the media’s representation of our relationship. FIFO does not mean we are more likely to end up divorced, it has meant that we don’t take each other for granted and that we value the time we have together. FIFO has strengthened our relationship, not weakened it and we will not be another statistic.